Good news! Now you can transform that complex, fragmented data into meaningful information that has real decision-making power. Sage Enterprise Intelligence fully integrates with Sage 300, plus it provides intuitive tools so you can securely access and analyze enterprise data with ease. 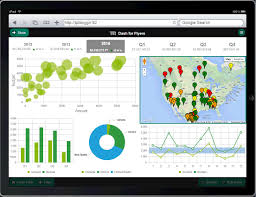 Reduce time spent on analysis and reporting and get the insight you need to support better-informed decisions with Sage Enterprise Intelligence.